Google Analytics – In order to understand how to make money online with a fully optimized website you have to understand how to analyze and measure what exactly is going on with your website. If you can’t measure and analyze your website you can’t manage your website, If you can’t manage your website you and never make money, consistently. 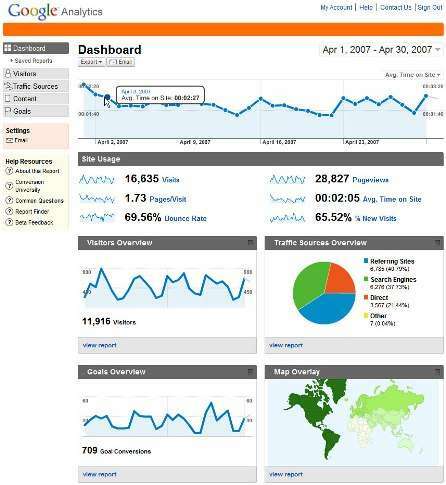 What exactly does Google Analytics accomplish and why is it so confusing for online business owners to understand? I always emphasize that there are 4 specific things that Google Analytics will accomplish. Exactly what Search Engines your visitors are using to find your website! What keywords your visitors are using to find your website! Which pages your visitors are visiting! How long your visitors are staying on your website! By gathering all this data you’ll be able to analyze and therefore tweak your website to increase its performance and eventually increase your income.